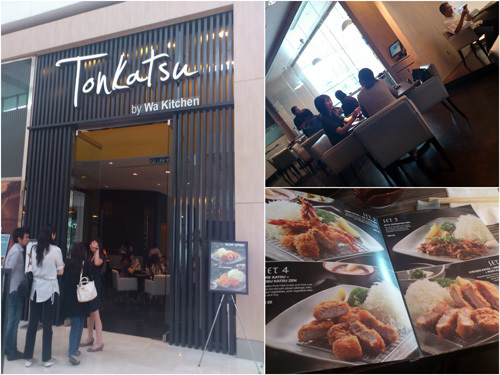 Tonkatsu by Wa Kitchen is one of the latest entries on the 6th floor of Pavilion KL that has lately been on a bit of a revamp. This restaurant is situated right next to Ben’s, another very good lunch option. Like the name suggest, Tonkatsu serves.. tonkatsu – breaded, deep fried pork cutlets with shredded cabbage and miso soup + rice. To know more there is the wiki entry. Yesterday Suanie happened to drop by KL over lunch time, so I took the opportunity to head there with her since she was in a mood for Japanese food, and I know she isn’t too keen on raw dishes. 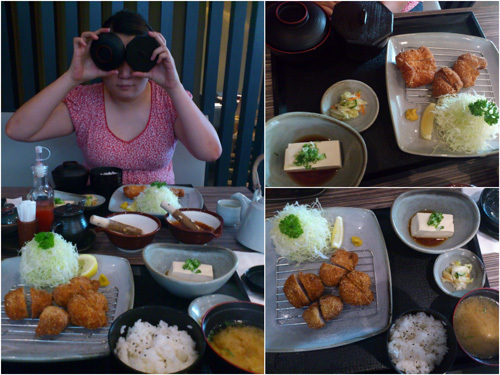 I chose the first set, Hire Katsu Zen (RM 29), and suanie opted for set number 3, Hire Katsu + Rosu Katsu zen (RM 28). My set came with 4 pieces of breaded pork tenderloin cutlet (hire katsu), while suanie’s was a mixed of tenderloin and pork loin (hire katsu + rose katsu). The pork were pretty good, not as good as beef tenderloin of course, but plenty good for a piece of pork that does not involve any big chunk of fat. It was almost healthy too, since they also give free refill of those shredded cabbage. 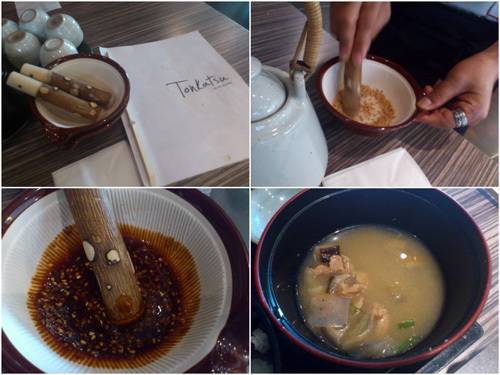 Besides several types of deep fried pork cutlets, they also serve pork belly soup, deep fried shrimps and oysters. Shall try more next time! 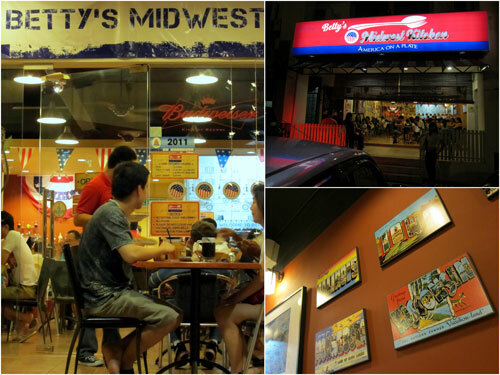 I can’t believe it took me so long for my first visit to Betty’s Midwest Kitchen. I spent 3.5 years of my life living in Midwest in my early 20s. 2.5 years in Minnesota, and another full year in Ohio, so the meal at Betty’s definitely brought back some memory, allowing me to rekindle with the tastes I was once so accustomed to. 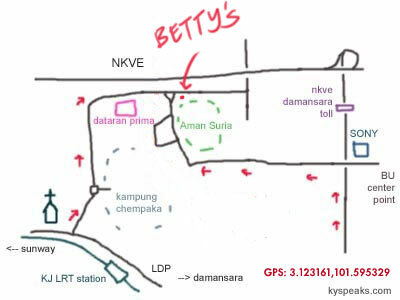 We went to Betty’s on a Saturday for dinner without reservation, that was a mistake. The little restaurant was packed and we were the 7th group to be waiting for a table. The host though, were true to Midwestern “niceness”, explained the situation to us, and asked us to wait patiently while taking our orders. So under the dim lights of the sidewalk, we inspected the menu and made our orders. Some half an hour or so later, we were seated, and in 5 minutes, our food was served. The service was super efficient, that’s always a plus point. 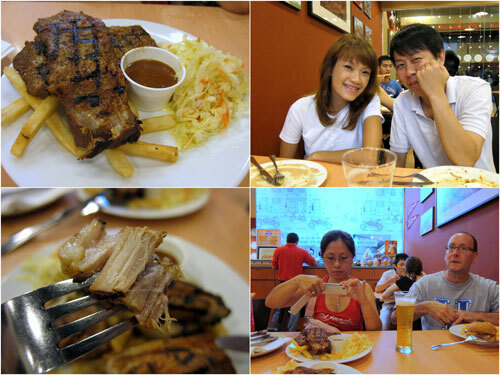 Our orders were a pork burger (RM 12), 2 pork chops (RM 23), pork belly (RM 27.50), and 2 portions of pork ribs (RM 32.50 each). That was for 6 person, and yes, every dishes were of my favorite for-food animal. Lovely. And the food were good! Real hearty American food. Properly grilled and deep fried, they are as original as you can get. The pork came in big chunk and were juicy too, it’s everything you want in a proper non-halal Western style dining without being pretentious. Not long ago my mom gave me a brand new pressure cooker that she’s kept with her for the last 10 years or so after knowing that I’ve started cooking a bit. It was a godsend, suddenly cooking soup become way faster and easier, and I think everyone who loves any sort of Chinese style soup should invest in one. 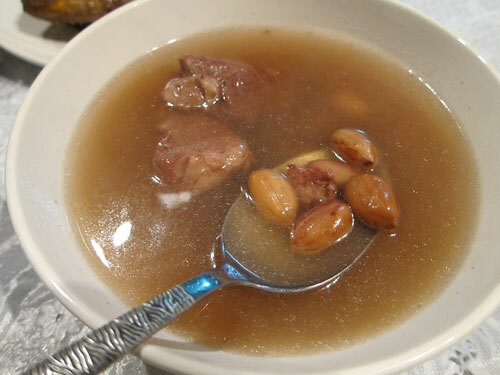 Today I’m going to share with you a very simple peanut soup with pork ribs recipe. A dish that I always love as a kid but never did get to have them very often due to the time it takes to cook using a conventional pot. With a conventional pot, you’ll have to boil the soup for at least 3-4 hours to make the peanut soft, but with the pressure cooker, 30-45 minutes is all you need for the same results. This is possible because with the increase in pressure (usually at around15 psi), the water will boil in much higher temperature at 122 Celsius compared to the usual 100 Celsius, and this make a world of difference. Pressure cooker consume quite a lot less cooking gas compared to a conventional pot too. After bringing the water to boil and the cooker to working pressure (indicated by the bronze valve being “erected”), usually achieve within a few minutes, the fire can be turned down low to keep the same pressure. I believe with this you’ll save at least 3-4 times the amount of cooking gas needed. The result is old fashion peanut soup that is good for the soul. The peanut is soft, and the pork ribs even more tender, you should really try this for yourself. 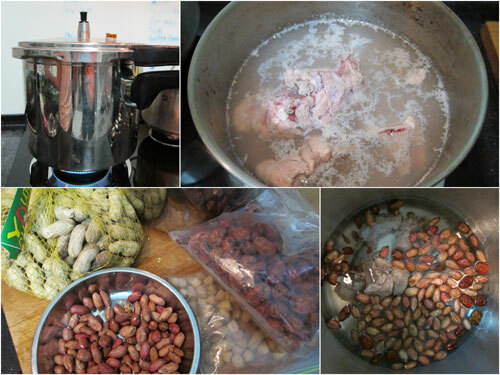 p/s: it is also said that boiling the soup with a clay soup spoon will speed up the “softening” process of meat/peanuts too as clay will serve as a catalyst of sort. I haven’t try that yet, but if you do, let me know how it works out. I’ve been having Astro B.yond PVR service for a few months now, so I suppose it’s a good time to recap a little bit and run a short review. 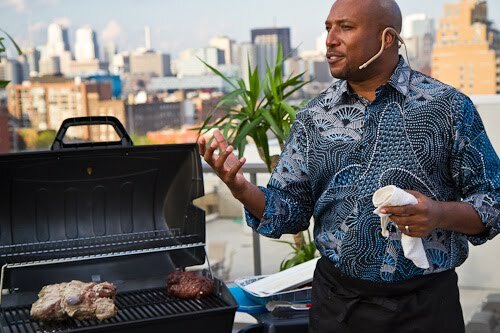 The two types of programs I record most would be American sports and cooking shows. Like the NBA finals that always happen on 8 or 9am on working days. It’s awesome to be able to recap when I come home in the evenings. Watching basketball on PVR is also particularly awesome cos you can skip all the way to the last 5 minutes when a close game really counts. No need to waste any time loh if really busy. I have all the games recorded, and Miami Heats lost to Dallas Mavericks in 6 games after being up 2-1. 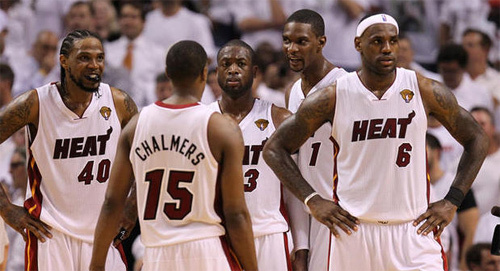 I guess James, Wade, and Bosh will have their shots again. James is the only current NBA player that I saw live when I was in the states.. oh well, next year! As for cooking shows, I mean, how many times have you look at the instructions and then realized you’ve just forgotten something? With PVR you can always repeat till they are pretty much imprinted in your brain. It’s really really useful. That or you can always pause and play back the show as you cook. I don’t have a TV in the kitchen so it’s actually a walking back and forth affair when I do this (I should joins some contest that wins me a TV!). 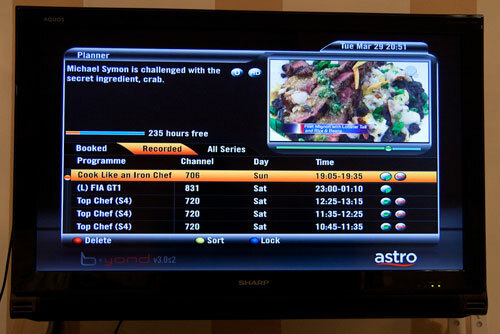 To be frank, I’m so spoilt now I don’t know how to watch TV without the freedom of having the PVR services. A bit congratulation goes to Nor Iman from http://eyriqazz.com who won the grand prize of a 3D/2N getaway to Sutera Harbour in Kota Kinabalu! The full list of winners can be found here.Congratulations to you guys too. I’m sure you will enjoy the services and probably like me, can’t live without it now. Enjoy! A little while ago Haze and I took a little weekend getaway to Fraser’s hill, the less glamorous of the highlands in Pahang after Genting, Cameron, and Bukit Tinggi. 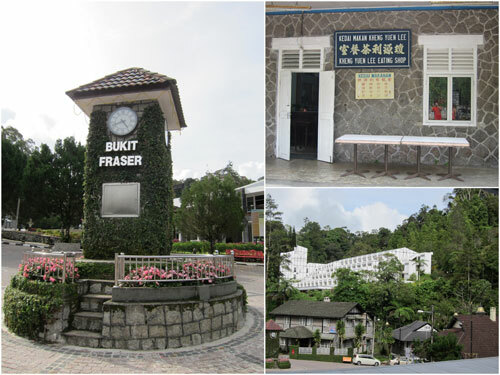 For the lack of flashiness and modern entertainment, Fraser’s Hill has that rustic charm that if not for the cars parked on the side of the road, the place would look almost exactly alike as it was 20-30 years back. The hill is situated at some 1,500 meter up, with a perfect temperature of 17-25C, and the void of noise except for some bird chipping sound. It is a perfect place to recharge the soul. It’s only a couple hours drive from KL, and a scenic one at that. Our hotel room at Puncak Inn costs around RM 120 with clean sheets, warm shower, and great location. 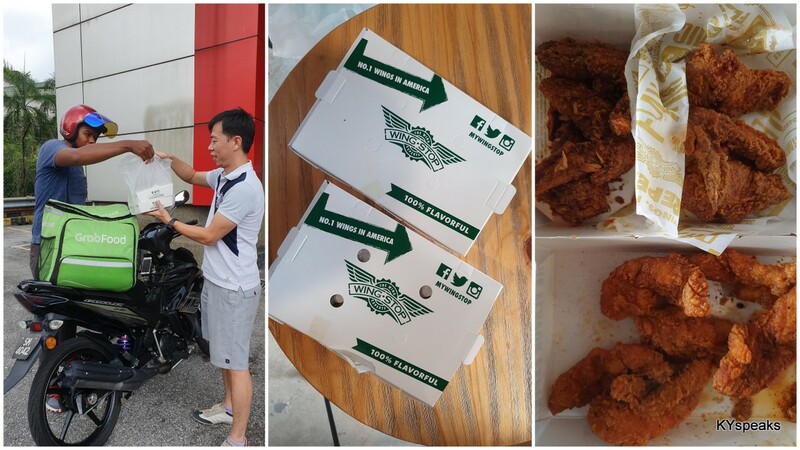 So now, here’s 5 things you can do at Fraser’s hill, and the great thing is, they won’t stress your wallet. jungle trekking is a great exercise! 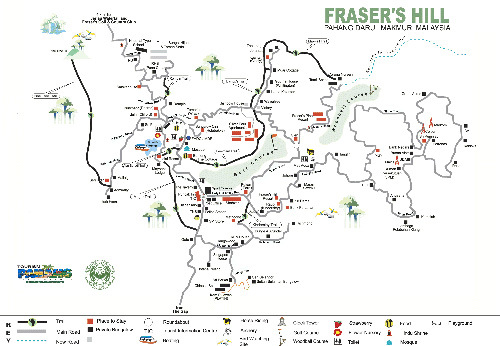 There are a number of trails on Fraser’s hill, they are reasonably well traveled with little rest stations within the jungle too. Most trails are not more than 1-2 kilometers in length and they usually have rest stops in the trail too. We trekked some 6.7 km in the jungle over 1.5 hours or so. It was refreshing, and of course, very tiring too. One advise though, wear anti-leech socks or bring salt, I ended up having to use a knife to peel off a couple leech on my foot at the end. After a good shower, we walked over to Scott’s just right next door to the hotel. 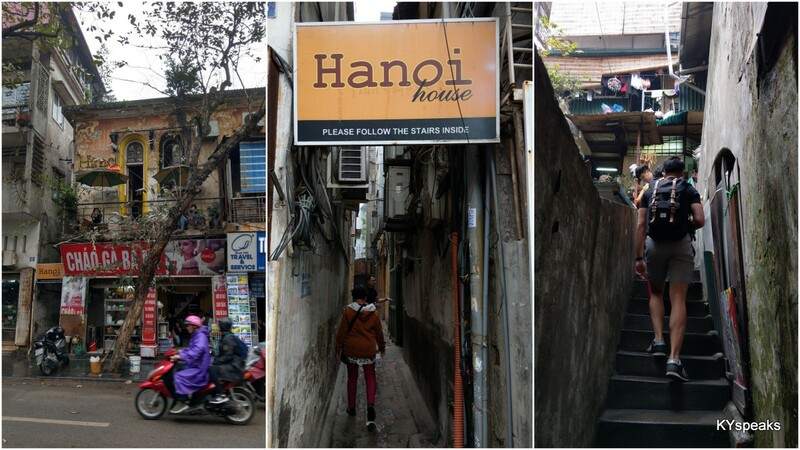 A Western + local food restaurant that was probably previously a house owned by some English dude who missed home too much he built a house that is completely out of place in this country. There are a couple tables at the garden, more indoor, a bar, and sofa in front of the fireplace too. It was charming. The food wasn’t too shabby either, but don’t expect something spectacular though. 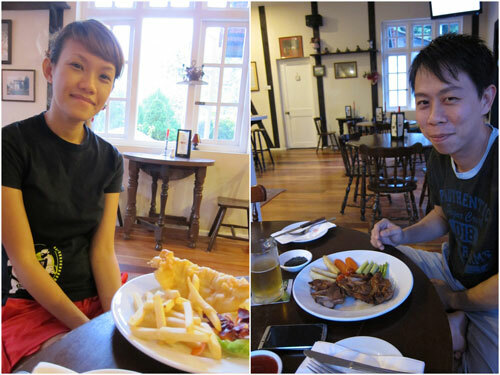 My lamb chop tasted just fine if not a little fatty, the fish and chips was decent, and we do like the orange cake they had for the night. 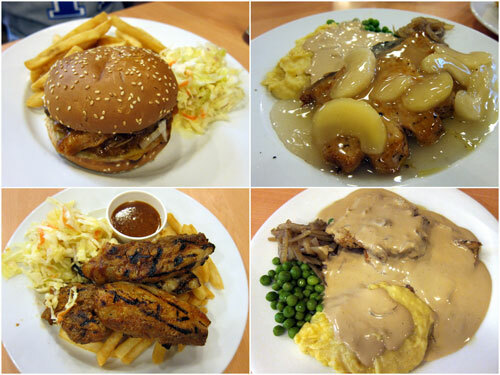 Cost – RM 50 or so, including drinks. After dinner we went straight to bed even though it was only 8 or 9pm, the jungle trekking, dinner, and the perfect temperature was too conducive to sleeping I guess. The next morning we took a short drive up to the paddock. Our first activity of the day was archery. 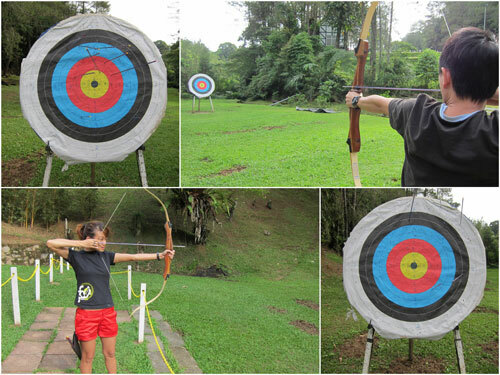 RM 8 for 10 arrows, and the idea is to not miss the target completely. I got 10 out of 10 on target, yey! Cost – RM 16 for two. And since I had not ridden a horse since I was 5 (with my parents in Medan, I think), it was a perfect chance to do so again. It was slightly anti climatic to be honest, you sit on the saddle, and the dude guide the horse making a round, and that’s it. The good part is, my balls didn’t have to suffer, and you can’t be the price of only RM 5! 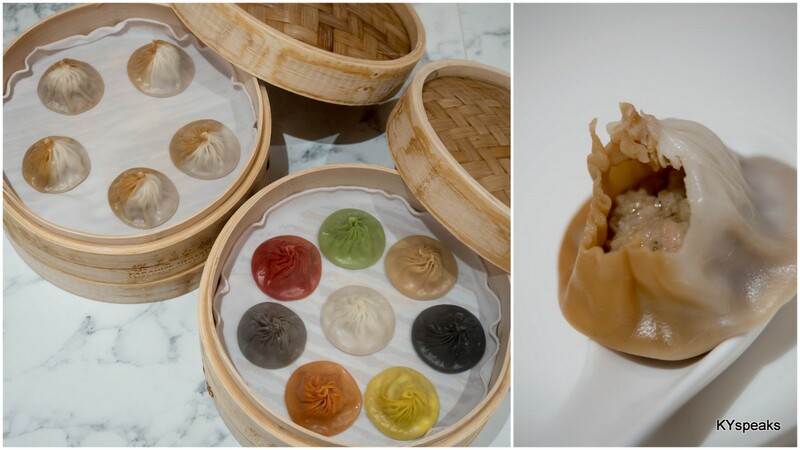 Cost – RM 10 for 2 pax. 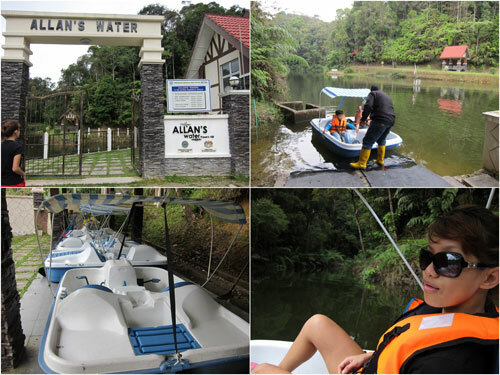 Believe it or not, there is actually a lake of sort (I think a dam) at Fraser’s hill by the name of Allan’s water. You can rent one of those paddle boats for a good 10-20 minutes of pleasure boating on the water. It’s kinda like taipeng lake but minus the mosquitoes and hot sun, a semi-romantic thing to do too. 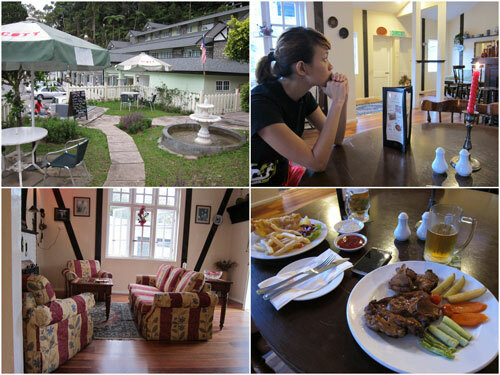 So there you go, a wonderful weekend getaway that costs less than RM 200 including hotel, food, and activities. 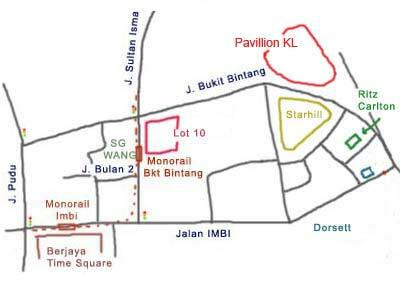 Add in perhaps another RM 50-80 for transportation, it is still a bargain.